Syed Imam-ud-din was the youngest of the eighteen children of Pir Syed Hasan Kabir-ud-din bin Pir Syed Sadruddin who was a descendant of Hazrat Imam Ja'far as-Sadiq. He was born on Thursday, the 21st Moharrum, 834 A.H.(1430 C.E/1486 Savant) at Uchh Sharif near Multan. His mother, Hurmat Khatun, was a daughter of Syed Alauddin bin Syed Kamal-ud-din. His other appellations are Syed Abdur-Rahim, Indra Imamdeen, Syed Imam Shah, etc... but he is famous as Syed Imam-ud-din or Syed Imam Shah amongst the Ismailis and as Pir Imam Shah or Pir Indra Imamdeen amongst the Imamshahis. He was about 19 when his father, Pir Hasan Kabirud-din breathed his last. All the progeny of Pir Hasan Kabir-ud-din are said to have been present at the time of his death, except Syed Imam-ud-din who is reported to have been away on a preaching mission. In his absence, his eighteen brothers hurriedly divided whatever property their father had left behind, depriving Syed Imam-ud-din of his share of the inheritance. Incidentally Syed Imam-ud-din all of a sudden returned to Uchh Sharif on the day his father was to be buried and to his great grief learnt of his father's demise. On the way to the graveyard, he learnt to his great chagrin of his brothers' treachery. He immediately halted the funeral procession and addressing his father's coffin demanded his inheritance. His brothers and their minions laughed at this apparent foolishness, but Syed Imam-ud-din was adamant. For more than three hours he held up the funeral procession and went on imploring his father for his due share. At last, it is said that, a hand appeared from the coffin with a rosary (Tasbih) which he is said to have respectfully received but kept on imploring for more. Then the hand appeared a second time with a lump of sugar (missary), which he immediately put into his mouth and expressed his satisfaction as having received his share of the inheritance. He then allowed the procession to proceed. Some of the ignorant and sycophantic people started misleading him that this miracle signified his succession to his father as Pir. Syed Imam-ud-din though tender of age about 19 but highly learned in theology and mysticism, understood the real purpose of these posthumous bequests from his father. He knew well that the office of Pir (piratan) can only be bestowed by the Imam of the time (Imam-e-Zaman) and that even a spiritually accomplished and popularly acknowledged Pir like his widely revered father did not enjoy any power or right to bestow such a gift. He immediately nipped the mischievous rumors in the bud and categorically, declared to all present that it was the prerogative of the Imam of the time (Imam-e-Zaman) alone as was evident by the cases of his father and grandfather. He explained the significance of the posthumous gifts from his father in the way that the rosary (Tasbih) signified the behest of his father to him to be more and more devoted to prayers and the lump of sugar (Missary) signified his father's urging to carry on the missionary work by sweet persuasion (preaching). After his father's passing away, Syed Imam-ud-din remained at Uchh Sharif when he received the summons from Hazrat Imam Muhammad bin Islam Shah whose headquarters at that time were at Kehk in Iran. After participating to his father's fortieth day rites (Chalisma), he left Uchh Sharif for audience with the Imam Muhammad bin Islam Shah at Kehk in Iran. On his way he passed through Sind and stopped over at Joonh.From Joonh he proceeded on to Kehk and after several days of hard journey, reached Kehk. At Kehk he met Mukhi Bawa Ghulam Muhammad an old friend of his father. The Mukhi did not recognize him and he did not reveal his identity. He told the Mukhi that he was a poor, humble follower and had come a long way to pay his obeisance to, and to have a glimpse (Deedar) of the Holy Imam. The Mukhi taking him at his word arranged to have him comfortably lodged and brought the matter to the Imam's attention. The Imam smiled at this news and remarked that he was a noble soul and that the Mukhi must properly look after him. The Mukhi was perplexed at the Imam's reaction and ran to comfort the newcomer with increased zeal. After three days, Syed Imam-ud-din again reminded Mukhi Bawa Ghulam Muhammed about his yearning for an audience with the Imam, urging him to beseech the Imam that Syed Imam-ud-din has come from far off Hindustan to have Imam's Holy Deedar. The mention of his name stirred the memory of the Mukhi who recognized the young newcomer as the son of Pir Hasan Kabir-ud-din. He immediately made submission to the Imam on Syed Imam-ud-din's behalf and the Imam was pleased to say that he would receive Imam-ud-din on the next Holy Night (Thursday night) at the Darkhana. The following Thursday, Hazrat Imam Muhammad bin Islam Shah graced the place with his presence and received Syed Imam-ud-din. The Imam enquired about the welfare of Jamats in his father's jurisdiction and in the course of audience, the Imam was pleased to reveal the appointment of Syed Imam-ud-din's uncle, Syed Tajdeen, as the next Pir in succession to Pir Hasan Kabir-ud-din. He urged upon the young Imam-ud-din to rededicate himself, with renewed zeal to the task on concerted prayers and intensive propagation of Ismaili faith in accordance with the last wishes of his father. On hearing the appointment of Pir Tajdeen in succession to Pir Hasan Kabir-ud-din, Syed Imam-ud-din was visibly effected, frustration and disappointment showing in his face. The Imam, seeing his reaction, consoled him and re-assured him that, though Piratan was not his destiny yet, the Imam was pleased to bestow the Mystic Great Name on him and ordered him to continue his mission on the Gujrat Coast. On his return from Kehk, Syed Imam-ud-din arrived at Ahmedabad around 856 A.H.(1452 C.E./1508 Savant) and stayed at a Mosque on the outskirts of the city. Here he is reported to have had a confrontation with Muhammad Begda, the famous king of Gujrat and wrought some miracles. From Ahmedabad, he proceeded onwards and settled down at Girmata from where he carried on his mission with the help of his devoted disciples. In 1512 Savant, Syed Imam-ud-din married Khatija Bibi, daughter of Shah Muhammad Bukhri, a descendant of King Alam Shah. This was his second marriage. 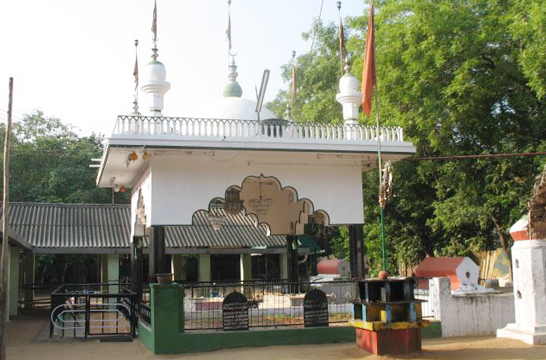 In 1524 Savant, Syed Imam-ud-din laid the foundation stone of his mausoleum at Girmata which is now popularly known as Pirana Sharif. Syed Imam-ud-din had married twice.  He had four sons - Syed Afam Shah, alias Khaliq Shah, Syed Ali Shah, alias Bala Shah, Syed Baker Shah and Syed Muhammad Shah alias Nar Muhammad Shah and one daughter-Bibi Shams Khatoon. Syed Imam-ud-din served the Ismaili cause for nearly seventy years and is said to have died at the ripe age of 87 on 26th of Ramadhan, 919 A.H. (1513 C.E./1569 Savant) at Girmata. He is buried in the mausoleum at Pirana Sharif, the construction of which he had himself overseen during his life-time.